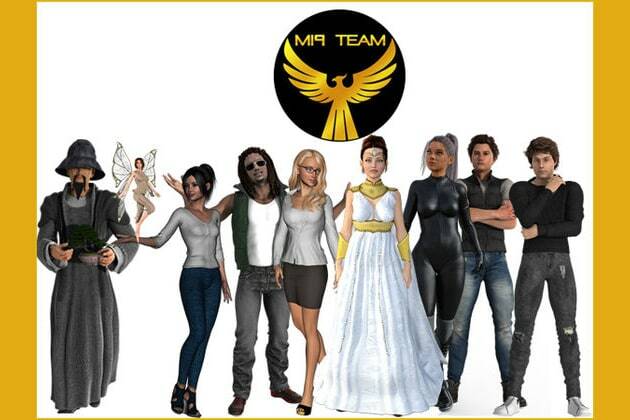 Which MI9 Team Superhero Are You? Intelligent, dignified, incredibly strong and hardworking, Sphinx possesses a special gift for riddles and is naturally powerful. Born in extreme poverty in the land of Concordia, Sphinx was no stranger to early struggles. As a child she worked in the fields, dreaming of an education, but in Concordia only boys got to go to school. Then, when Sphinx was a young girl, she got an amazing opportunity. Upon graduation, she earned the Lion's Crown—a near impossible accomplishment which bestowed upon her many magical gifts, including the power of teleportation. Sphinx is the leader of the MI9 Team and later in life, she opens a girls school to pass on the gift of education. Beyond her superpowers, Sphinx represents Verbal-Linguistic Intelligence. Verbal-Linguistic Intelligence involves using words in reading, writing and speaking; the ability to analyze and produce information through written and oral language. Incredibly smart and accomplished, Athena has an impressive career in STEM and is driven by her heart as well as her mind. Athena grew up in a happy, altogether normal childhood, until her mother was diagnosed with cancer. After battling her illness for years, her mother succumbed to the disease and died. Stricken with grief, Athena ran out of the hospital and into the woods,sobbing and devastated, when she was visited by a magical owl. From then on, her trusty owl Hoot is always by her side. Athena tirelessly devotes her time to try to find cures and other ways to help those afflicted with illnesses and injuries. And with the help of her owl, she nurtures her magical healing powers. Beyond her superpowers, Athena represents Logical-Mathematical Intelligence, which involves thinking logically and solving abstract problems; the ability to develop equations and make calculations. People with Logical-Mathematical Intelligence have strengths in the following areas: reasoning, calculating, exploring patterns and relationships, scientific experiments, computers and codes. As defined by Dr. Howard Gardner, who developed the Theory of Multiple Intelligences, logical-mathematical intelligence is the capacity to conceptualize the logical relations among actions or symbols (e.g. mathematicians, scientists). Dainty (but strong! ), Eco is loving, thoughtful, wise and motivated to make the world a better place. Growing up as a fairy in the Amazon Rainforest, Eco had an idyllic childhood, with no worries until her teenage years when she started to have haunting visions that she did not understand. Then her home was destroyed by an explosion, and Eco realized that her visions were actually showing her the future. Now Eco applies her clairvoyant ability to help save the environment and do everything she can to prevent future tragedies like the one that destroyed her beloved home. Beyond her superpowers, Eco represents Naturalistic Intelligence, which is the ability to identify and distinguish among plants, animals and weather formations found in the natural world. Hoku is motivating, hardworking and strong (inwardly and outwardly). She was teased and bullied as a child, but found solace in sports and martial arts. She grew strong and confident, and learned to stand up to her bullies and protects others. She enlisted in military to serve her country, and after several tours in the Middle East, Hoku lost a limb in battle. She was devastated at her new limitations. But she lifted herself up once again, training to grow mentally and physically stronger than ever. Hoku inspires others with disabilities to overcome their challenges. Her high-tech multi-functioning prosthetics give her super strength; and since her near-death experience she can communicate with the deceased and supernatural. Beyond her superpowers, Hoku represents Bodily-Kinesthetic Intelligence, which is using the whole body, or parts of the body to solve problems, create products or as an expression of one’s self. People with this type of intelligence are good at physical activities and handling objects skillfully. As defined by Dr. Howard Gardner, who developed the Theory of Multiple Intelligences, bodily-kinesthetic intelligence is the ability to use one’s whole body, or parts of the body (like the hands or the mouth), to solve problems or create products (e.g. dancer). Yin is quiet, but warm, friendly, inviting and inspiring, with an exceptional ability to reach out to others and bring them out of their dark places and inspire friendships. However, Yin did not always easily relate to others. For most of her teen years, Yin was lonely and isolated. With Aspergers Syndrome, she always had a hard time relating to other people. The only person she was close with at all was her brother, Yang, until one day he had to leave and then Yin was all alone. She felt like a complete outsider, until she met Maria who was able to bring Yin out of her shell. Yin started reaching out to other people in need, extending kindness and helping them feel good about themselves. And with her magical origami she is able to bring things to life, and show others a window to the past to help to remind them of the true happiness they have within. Beyond her superpowers, Yin represents Interpersonal Intelligence, which is the ability to understand and relate to other people. People with this type of intelligence are effective communicators and have the ability to cooperate as part of a group. As defined by Dr. Howard Gardner, who developed the Theory of Multiple Intelligences, interpersonal intelligence is the ability to interact effectively with others. Sensitivity to others’ moods, feelings, temperaments and motivations (e.g. negotiator). (Sometimes called social intelligence. Yang is reflective, thoughtful, intuitive, and honest. Like all members of the MI9 Team, his past was troubled. Peer pressure led Yang down a harmful path of substance abuse, which grew to consume his life into a downward spiral until his friend’s tragedy served as a major wake-up call for Yang to leave behind his destructive lifestyle. He went on a mountain retreat to spend time alone reflecting on his life, and discover who he really was, without outside influences. He helps others on their paths to self-discovery with his powers that give him the ability to show people their potential future in the reflection of water surfaces, and what will happen if they let outside influences sway them from their true self, and help them be in tune with who they truly are deep down inside. Beyond his superpowers, Yang represents Intrapersonal Intelligence, which is the ability to recognize and assess one’s own feelings and motivations. People with this type of intelligence are introspective and have a good understanding of the self and inner feelings, strengths and weaknesses. Reggie is laid-back, happy, and positive, and always wanting to bring joy to those around him. Growing up, Reggie was not without his share of problems. He struggled in school because of his ADHD and due to his low grades, he was dropped from his HS sports teams. Reggie was inconsolable and despondent. Then one day a mysterious man gave Reggie a boom box with magical qualities. When he listened to music on it, it helped him concentrate and he was able to improve his grades. It also sparked his love and interest in music, opening up a whole new world. The boom box also has magical properties that can dispel anger and conflict to unite people together, and restore balance and peace. Beyond his superpowers, Reggie represents Musical-Rhythmic Intelligence, which involves recognizing, producing and making meaning of different types of sounds and rhythm. People with this type of intelligence enjoy singing, playing musical instruments and/or composing music. As defined by Dr. Howard Gardner, who developed the Theory of Multiple Intelligences, musical-rhythmic intelligence is sensitivity to rhythm, pitch, meter, tone, melody and timbre. May entail the ability to sing, play musical instruments, and/or compose music (e.g. musical conductor). Pierre is artistic and creative, sensitive and understanding. He also has dyslexia and when he was younger he had a lot of difficulties in school, and with no real support from family, he felt isolated and fell into depression. While by all outward appearances the epitome of success, his family was not very close-knit nor very caring towards each other. Pierre ran away and ended up in a homeless shelter, where he met Gerrard who introduced him to art. With his help, Pierre turned his life around and now helps to mentor other at-risk youth. With his magical paintbrush and palette, Pierre can create beautiful paintings that open up portals. Beyond his superpowers, Pierre represents Visual-Spatial Intelligence, which is the ability to visualize images and recognize patterns, comprehend maps and other kinds of graphic information. As defined by Dr. Howard Gardner, who developed the Theory of Multiple Intelligences, visual-spatial intelligence is the ability to conceptualize and manipulate large-scale spatial arrays (e.g. airplane pilot, sailor), or more local forms of space (e.g. architect, chess player). Take the quiz and find out which MI9 Team superhero you are most like.